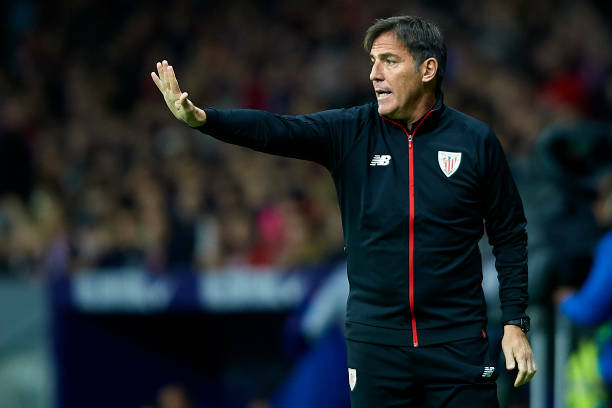 Paraguay has named former Sevilla and Athletic Bilbao coach Eduardo Berizzo as their new manager. The 49-year- old replaces Juan Carlos Osorio, who resigned last week following five months and one game in charge. The Paraguayan Football Association (APF) announced the arrival of Argentinian Berizzo on Monday. “The Paraguayan Football Association…have successfully concluded the negotiations with Eduardo Berizzo, who becomes the new coach,” read a statement on the APF website. Berizzo, who was sacked by Bilbao in December, has previous experience on the international stage having been Chile’s assistant manager from 2007 to 2010. Berizzo will be unveiled on Friday when details of his backroom staff will be confirmed. His first games in charge will be next month, with Paraguay scheduled to play friendlies against Peru and Mexico, ahead of the Copa America in June. Paraguay have been drawn in Group B for the tournament, along with Argentina, Colombia and Qatar.